An estimated 77,000 self-managed super funds (SMSFs) have unmet needs for advice on estate planning. The 2018 Vanguard/Investment Trends SMSF Report confirms that estate planning is among the highest unmet needs for advice. This equates to 13 per cent of SMSFs at the time of the surveys – a percentage that would be markedly higher among funds with older memberships. Further, the research found that 10 per cent of SMSF trustees had concerns about the ability of other members to manage their super funds following the death or serious illness of the most dominant fund member. The recognition of tens of thousands of SMSF trustees that they need professional guidance with their estate planning is driven by an array of factors. These include the burgeoning number of baby boomers nearing or already in retirement, the large proportion of retirement money held by SMSFs, and greater longevity. Some 47 per cent of SMSF members were aged over 60 in March 2018 and 20 per cent were aged over 70, according to tax office statistics released over the past week. SMSFs hold almost 60 per cent of overall superannuation assets invested in retirement products, according to the Superannuation market projections report 2017, published late last year by consultants and actuaries Rice Warner. This percentage has been rapidly growing. As at least a starting point for estate planning, it is critical for SMSF trustees (together with all super members) to understand who is eligible to receive their superannuation death benefits. Another fundamental is to understand how different eligible beneficiaries may be taxed differently. Superannuation benefits cannot be left indefinitely in an SMSF following death – even if the beneficiary is your surviving spouse and a member of the same SMSF. The amount must be paid out as a lump sum or continue to be paid as reversionary pension. As part of their estate planning, many SMSF trustees prepare for the possibility that the most active member of a fund dies first. This is particularly an issue for two-person SMSFs where one member may be much more involved with their super. Changes to superannuation laws provide a further motivation for SMSFs to gain estate-planning advice. Specialist superannuation editor Stuart Jones writes in the Thomson Reuters Australian Superannuation Handbook 2017-18: "From July 1, 2017, estate-planning considerations have been further complicated by the introduction of a pension transfer balance cap. "The death of a member in the pension phase," Jones adds, "is a high-risk time for a surviving spouse (or other dependant) in terms of their potentially breaching their own $1.6 million transfer balance cap." A surviving spouse or dependant who had previously been well below the $1.6 million pension cap could "quickly find themselves" exceeding the $1.6 million cap with an excess transfer balance tax liability because of the deceased's super pension, he says. 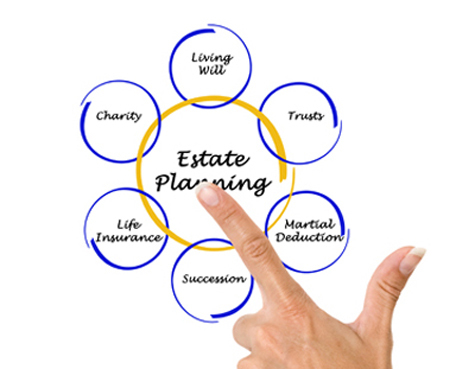 Thorough estate planning by an SMSF and its members is a valuable legacy in itself.